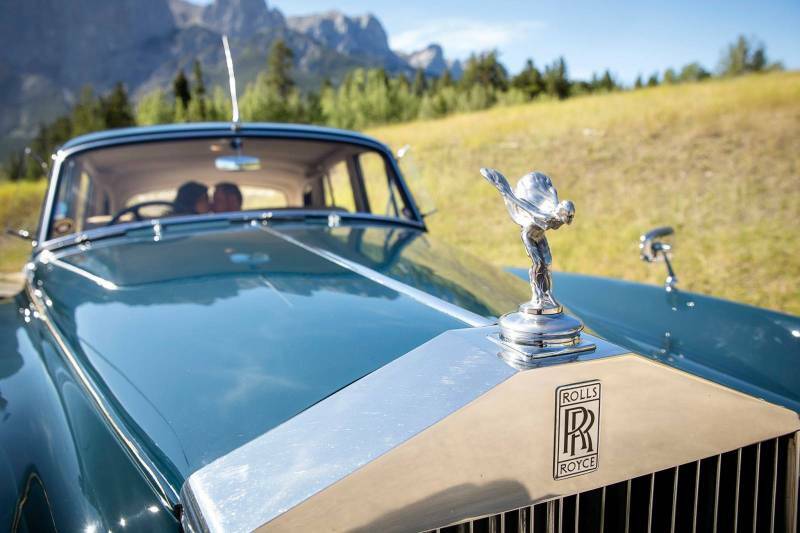 The Rocky mountains really became famous during the 1920's as celebrities, royalty and the rich flocked to areas like Lake Louise and Banff to take in the beauty of the area, horseback ride, gaze at the stars, golf and more. 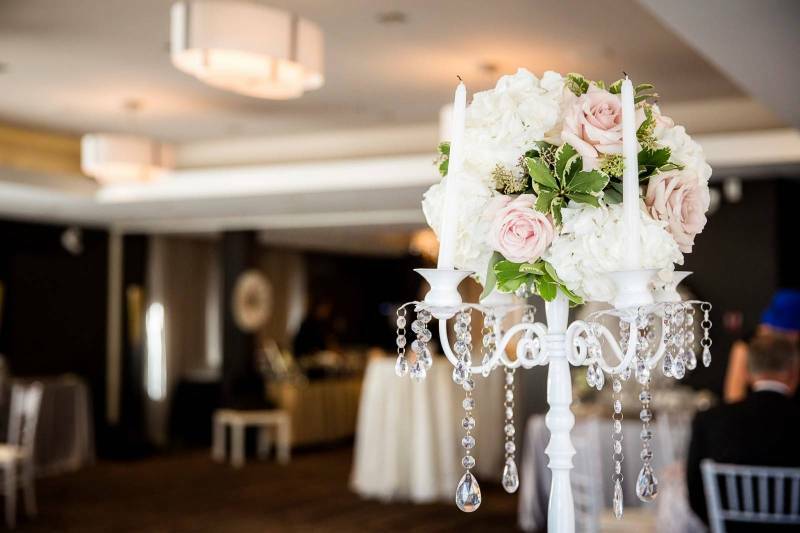 I love walking through the Fairmont hotels and seeing all the old photos of this time and how incredibly glamorous everyone looked. 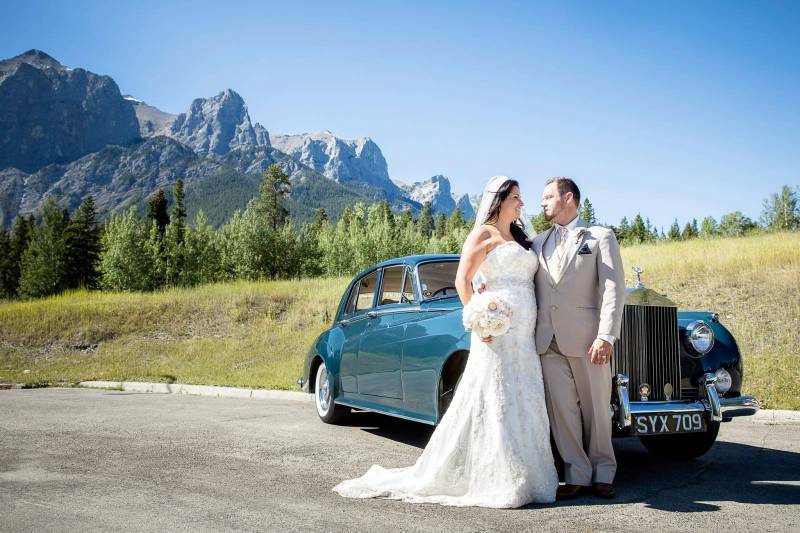 So this Gatsby themed Canmore wedding is incredibly fitting for the mountains and it's also incredibly gorgeous. 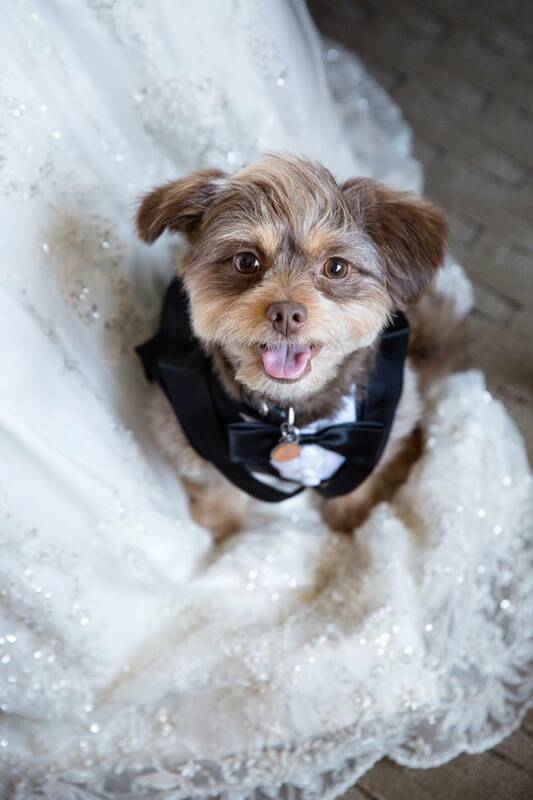 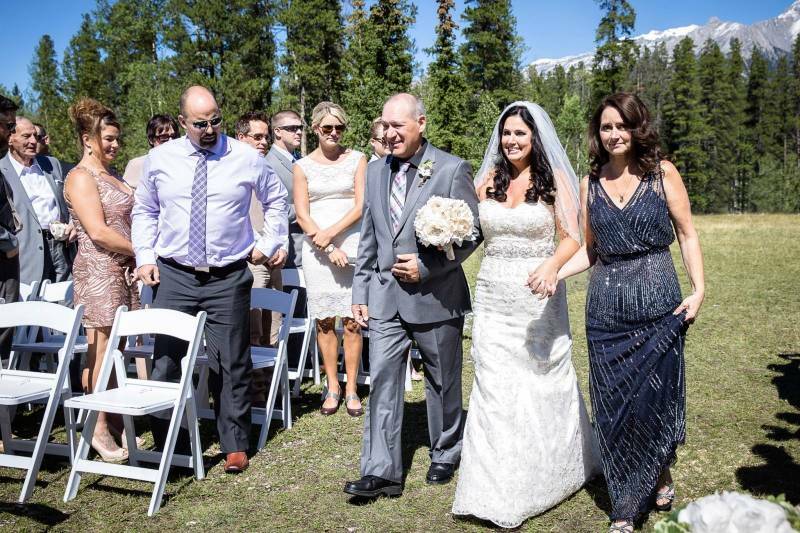 Something New Weddings & Events designed and coordinated all of the beauty, decor and details perfectly and Canmore wedding photographer, Kim Payant captured all of the images. 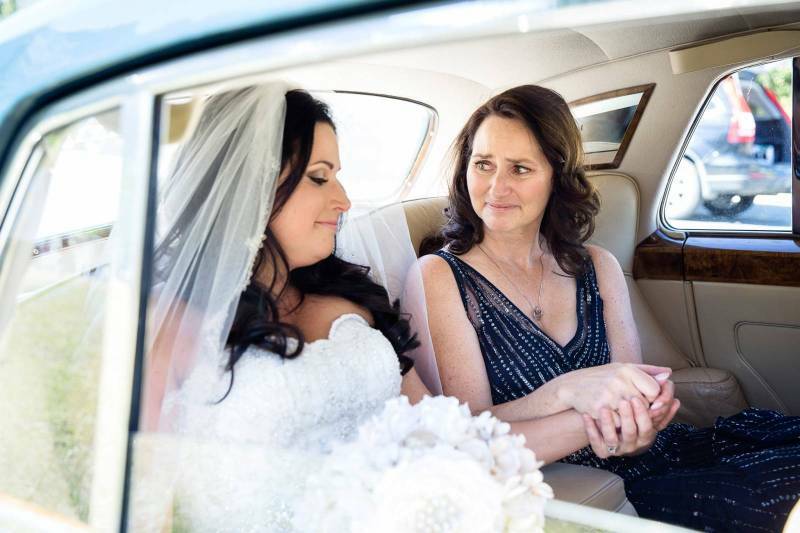 It's a beautiful masterpiece and we're excited to share it today! 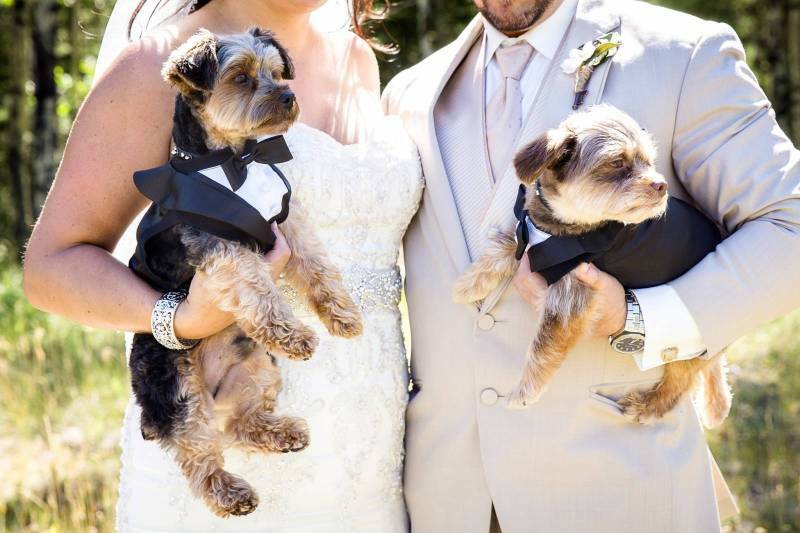 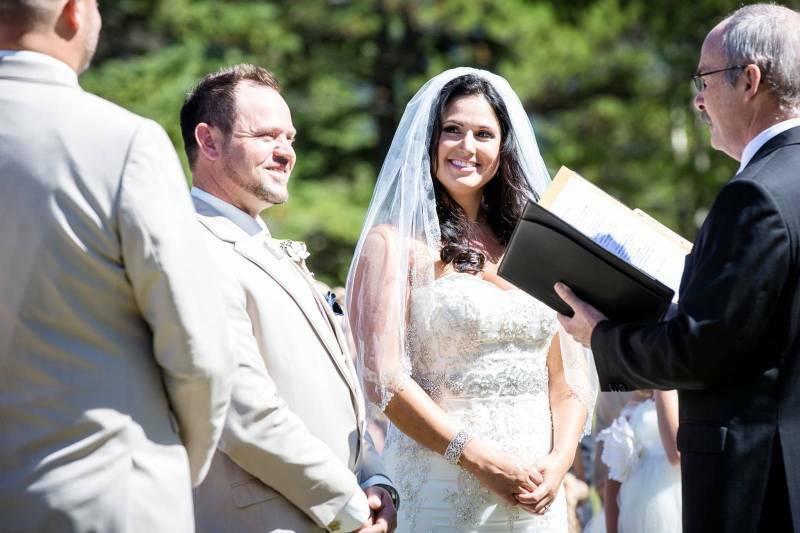 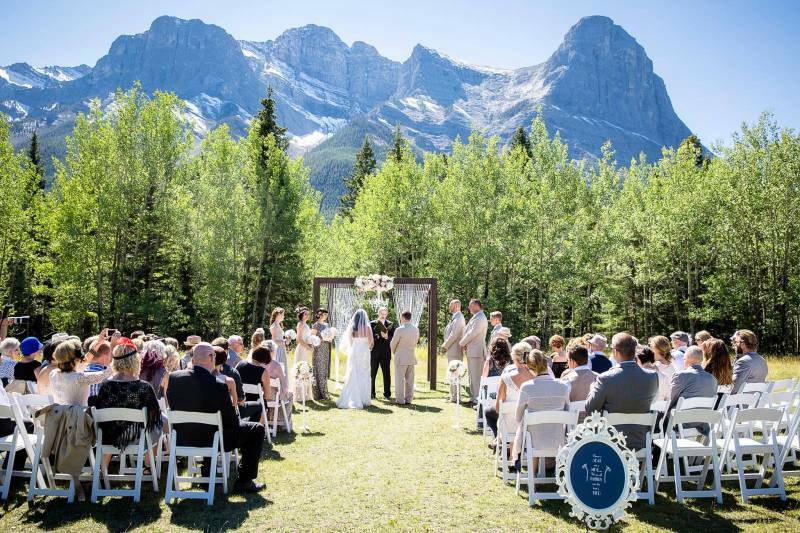 The Canmore wedding ceremony was set overlooking the iconic Mt. 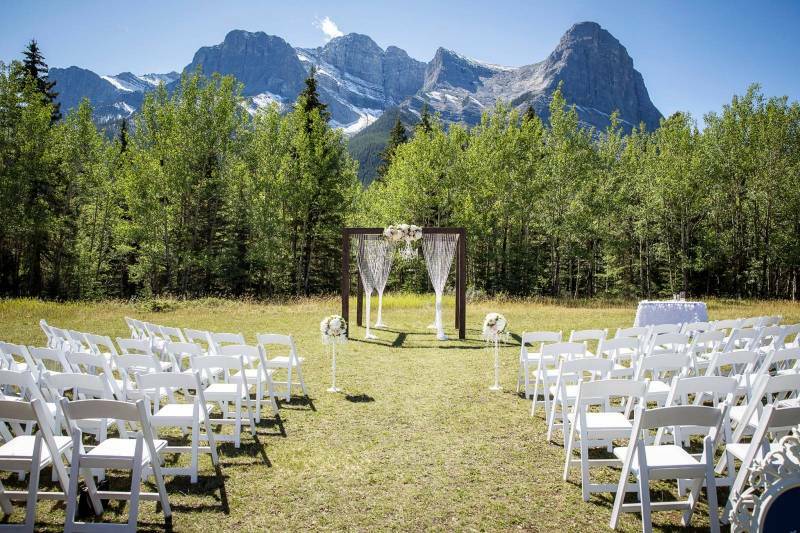 Rundle and Ha Ling Peak. 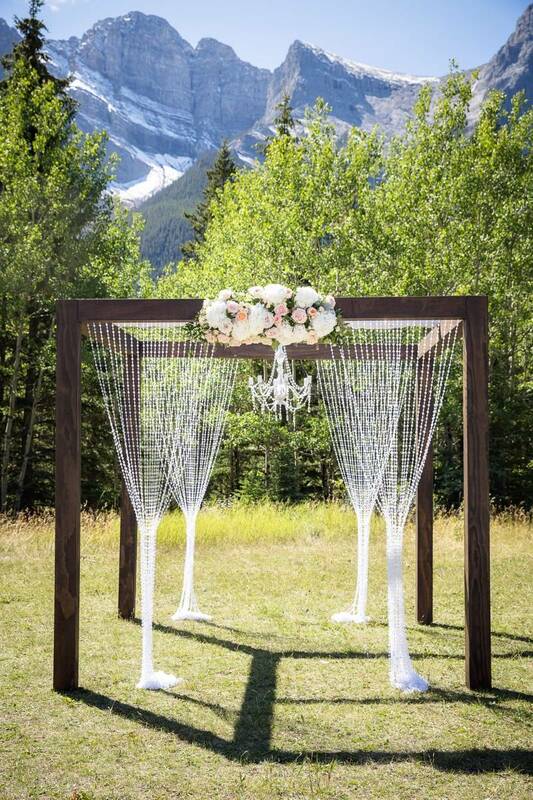 Something New Weddings designed the gorgeous arch, adding in 20's inspired detail and beauty and working with Willow Flower on the gorgeous arrangements. 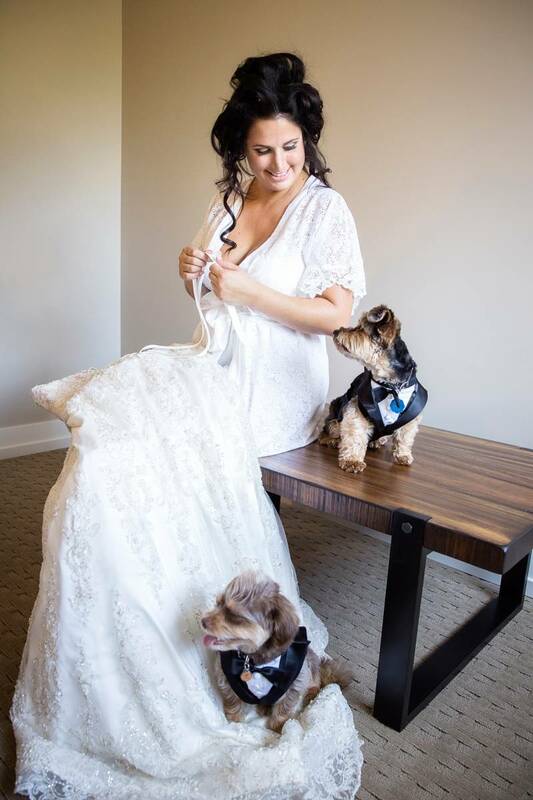 The guests understood that the wedding was following a Gastby theme and many of them got right into the theme with their outfits and dresses for the wedding. 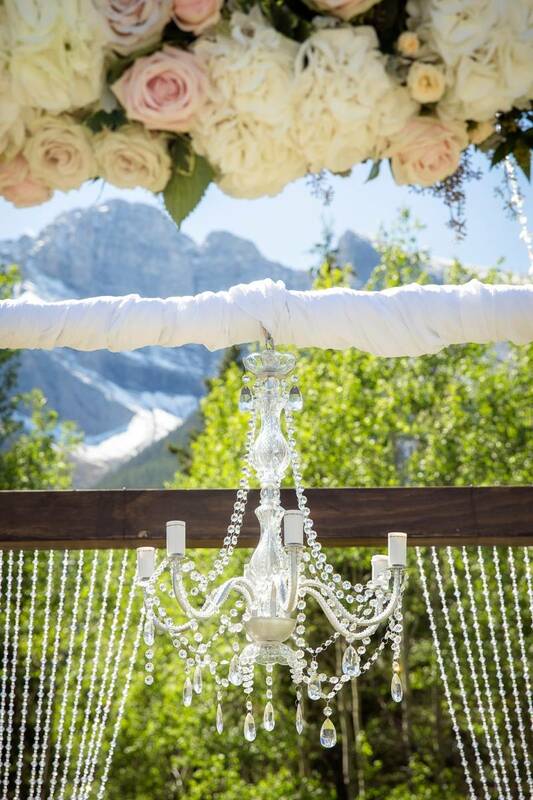 It turned into an absolutely stunning event! 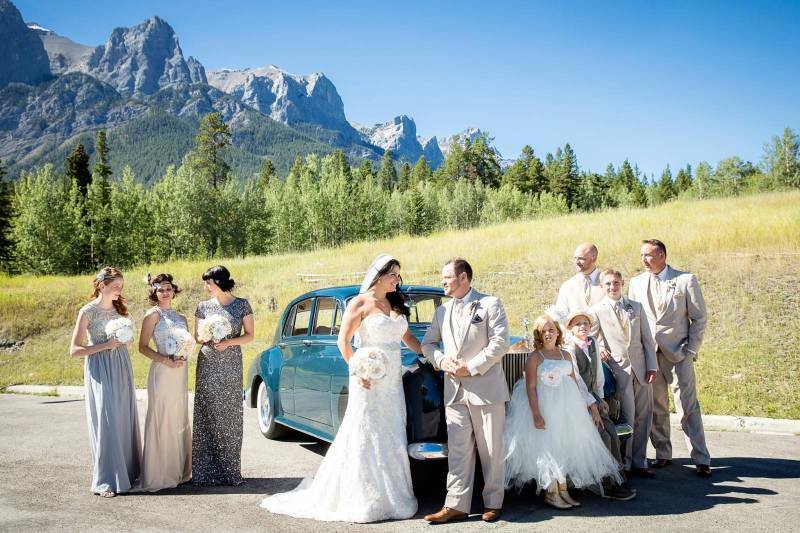 The brides beautiful hair and makeup worked with the Gastby theme and was created by Canmore's Mountain Beauties. 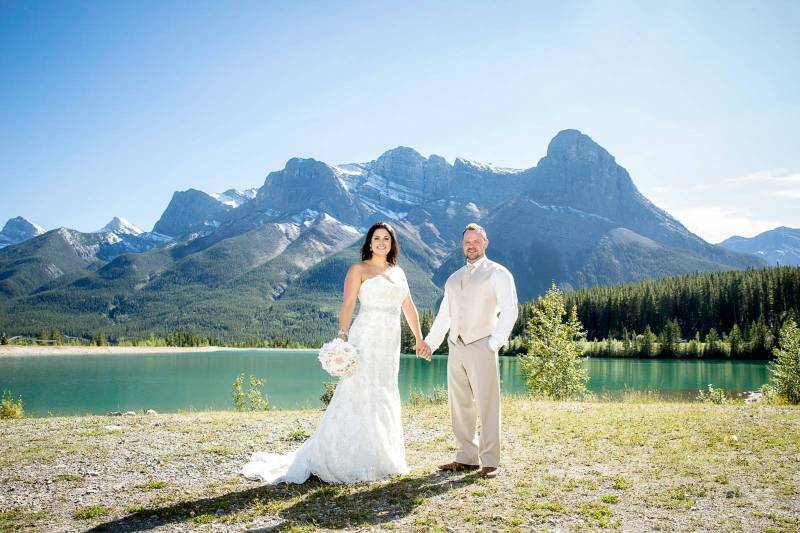 Family portraits were an important part of their photo requests but after all of the family shots were taken their Canmore wedding photographer took them out to enjoy the weather and their first moments as husband and wife together. 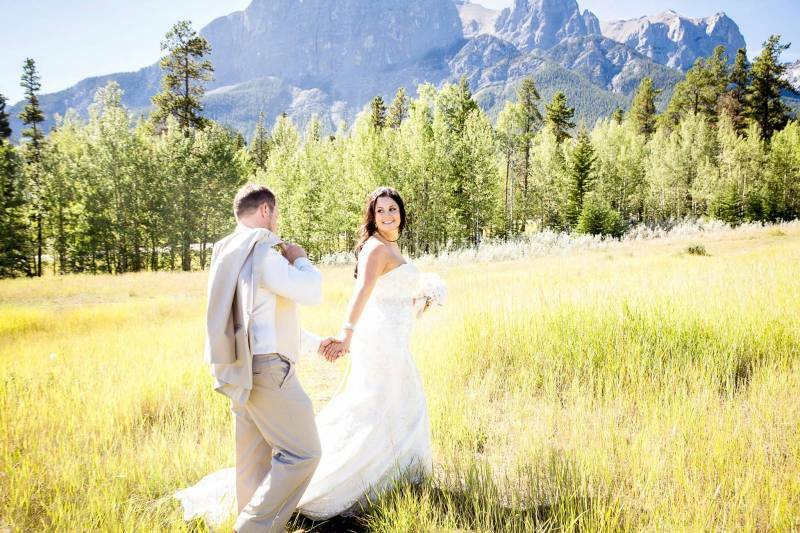 They enjoyed the colourful mountain meadows and took in the pristine beauty of the aqua lakes while their photographer worked on gathering amazing portraits. 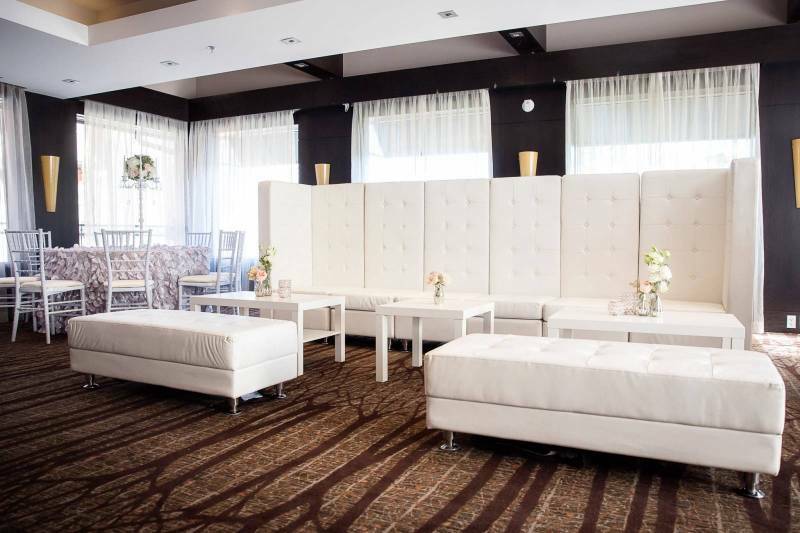 The reception, held at the Grande Rockies Resort, kept with the glamorous Gastby theme and included this gorgeous custom couch from Special Event Rentals, ruffled table clothes, chiavari charis, beautiful flowers, tall candelabras and much more. 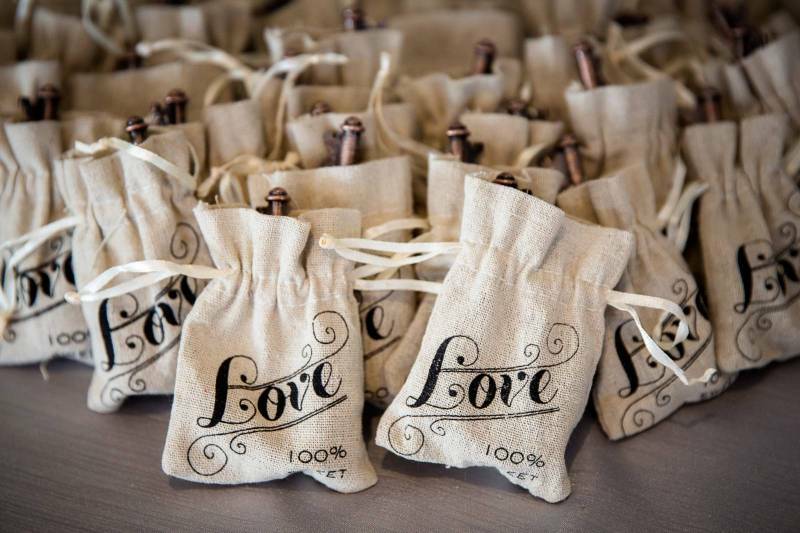 It was the perfect party to celebrate the beautiful love of Julia and Gerald in perfect 20's style. 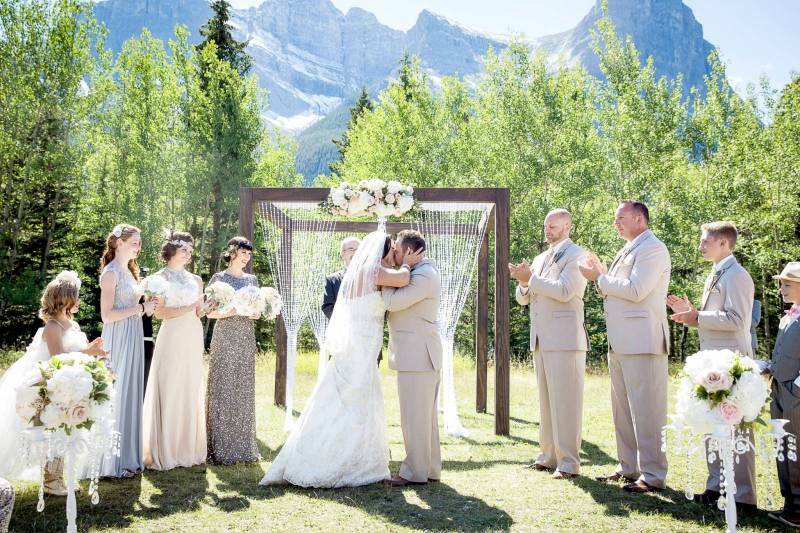 Canmore wedding photographer, Kim Payant is a premiere member of our mountain vendor directory and a source of inspiration for amazing photos in Canmore, Banff and Lake Louise. 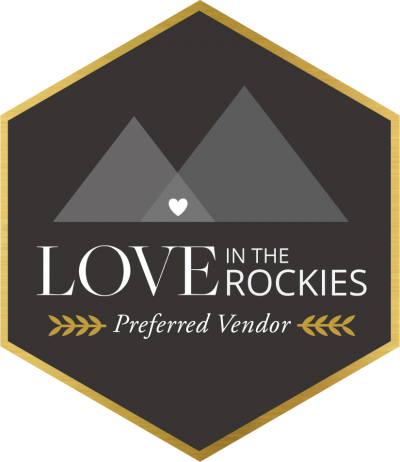 Be sure to check out her work along with all of the amazing local vendors who made this day absolutely gorgeous!